Prior to your first, print and complete our New Patient Information/Insurance Information form. Please print and complete additional forms as requested by the office at time of making your appointment. Bring the completed form with you. Katey or Suzanne will review that form, ask follow up questions and do a physical evaluation based on your symptoms. After your physician refers you to a Physical Therapist your next question is, what will a PT do for me? 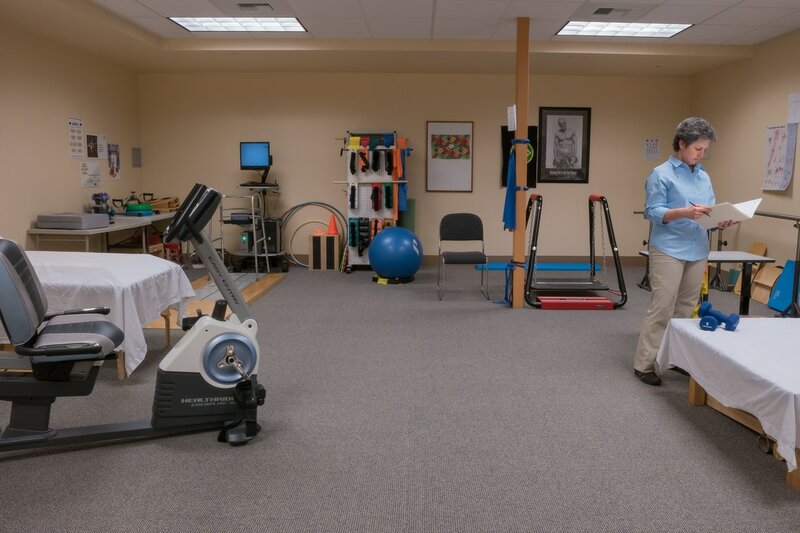 The goal of your physical therapist is to improve your endurance, strength and balance to a level that allows you to participate in those activities you enjoy. Pain reduction is critical to a patient's ability and desire to be active. At your first visit with Katey Lent PT or Suzanne Lewis PT you should expect to spend 1 to 1 1/2 hours at our clinic. You will be evaluated for posture, strength, balance, pain. If dizziness and vertigo is an issue that will be evaluated as well. You should bring comfortable loose clothing with supportive footwear and be prepared to discuss what YOUR personal goals are.